Alexandros Plomaritis in a Greek artist born and raised on Thassos Island and now based in Thessaloniki. His work is governed by a socio-political quality through the practice of performance. He explores issues of the current political state of events, identity and history, however he always returns to his very personal experiences in which motifs and symbols from the everyday interact, seeking identification and common grounds with his audience. At the VENICE INTERNATIONAL PERFORMANCE ART WEEK 2016, Plomaritis presents self-reflectio, a performance that deals with the reflection of the self and the self as reflection. 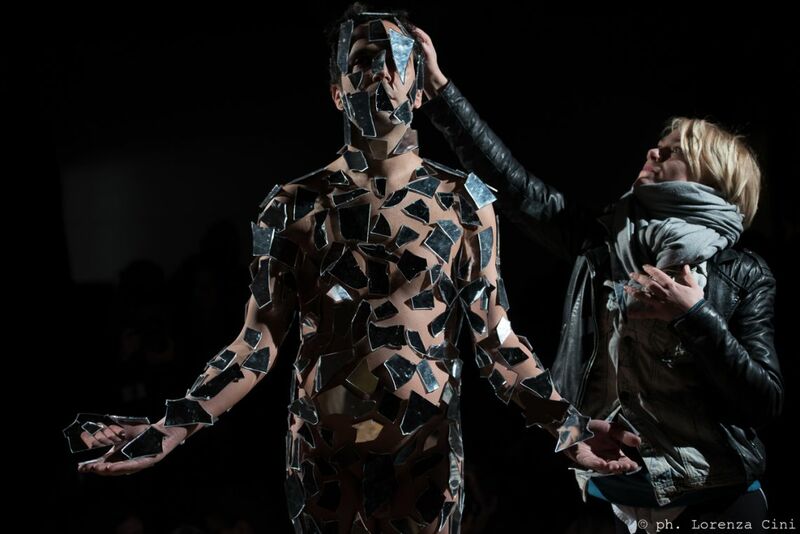 A fragmented mirror produces a falsified image of unity and light. The audience is asked to participate in the production of its own representation, and eventually reassess the role of optics in defining subjectivity.